Create a classic addition to your kitchen accessories with a personalized family monogram dish towel. Our design will be printed in your favorite design color, with any single initial, your family name and any established year. 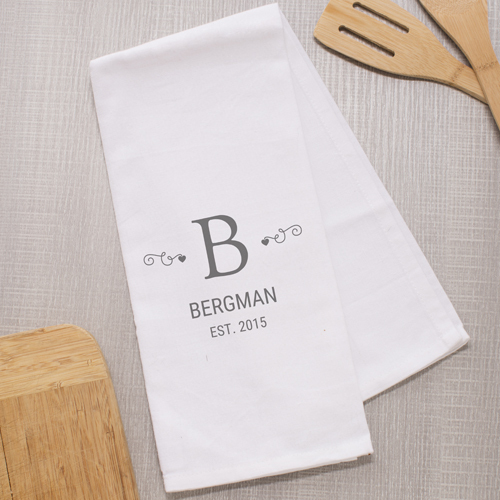 Make this dish towel a great gift among family and friends.